This week, Your News to Know rounds up the latest stories involving the gold market and the overall economy. 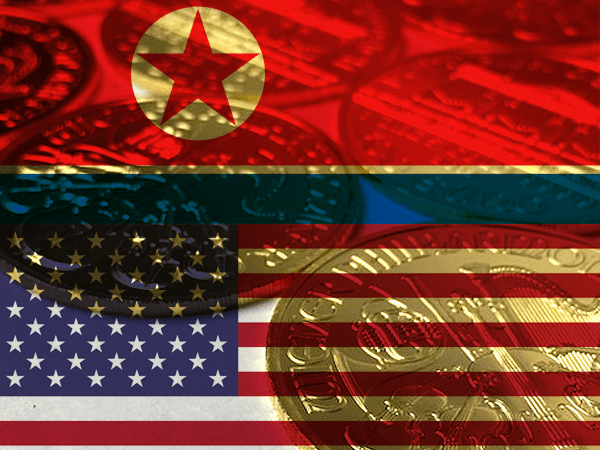 Stories include: Gold moves higher as U.S.-North Korea tensions renew, 10 reasons to invest in gold in 2018, and Turkey’s election is driving up demand for gold coins. With chances of a nuclear peace treaty with North Korea diminishing after a brief show of promise, a CNBC article writes gold has once again returned to the winning column. As nations worldwide hoped that President Trump and North Korea’s leader Kim Jong-un would settle their differences at the June 12 summit in Singapore, the White House cancelled its attendance, citing derogatory remarks from North Korean officials as the main reason. The decision elicited an immediate response from several countries involved, including an emergency meeting by the South Korean government. It also gave a sharp boost to gold prices, pushing the metal towards its best day in more than a month. Mark Tepper, founder and president at Strategic Wealth Partners, told CNBC that investors can’t afford to overlook gold in times like these. Besides the multitude of geopolitical risks, Tepper added stagflation to the list of factors strengthening gold’s appeal. He predicts that the U.S. economy will enter into a recession in the 2020s. This will be followed by a period of slow economic growth, rising inflation and a higher unemployment rate, which could last anywhere from one to six years. Gold is known to thrive in this type of environment, having moved 15 times higher during the decade of stagflation in the 1970s. Tepper added that, on average, each period of stagflation saw gold return 84% compared to just 14% for equities. A recent article on MarketSlant examined the top ten reasons why investors should stock up on bullion in 2018. In line with gold’s varied utility, the reasons are diverse and range from the metal’s outstanding track record to the ballooning global debt. In spite of inexhaustible demand, the supply of gold continues to shrink. The metal’s scarcity, which serves as one of its main attributes, is likely to intensify over the coming years. Most miners have had to significantly cut back on their operations due to high costs, and the time it takes to locate and mine new ore is too great to cover a sudden shortage. This shortage could come as many central banks continue to stockpile bullion year after year, with total net purchases by governments in 2017 amounting to 371 tons. It could also come from heightened jewelry demand from India and China, two of the world’s biggest gold buyers. As both countries host an expansion of the middle class, the gold market could see an unprecedented spike in demand from emerging markets. The concerning picture for both domestic and global economies could be a major source of central bank hunger for bullion. Global government debt has reached dizzying heights, having risen to $120 trillion since the 2008 crisis. This has fueled concerns that another recession could be right around the corner. Despite continued interest rate hikes by the Federal Reserve, real rates remain safely perched in negative territory, acting as a major boon for gold. The metal’s relationship with the dollar also makes it an extremely attractive portfolio diversificator. Gold has had some of its best performances during times of a weaker dollar, especially when brought on by a recession. Gold is also the best hedge against inflation and promises outstanding returns when costs are skyrocketing. Even in the absence of current financial and geopolitical turmoil, gold investors could still take solace in the metal’s exceptional performance throughout history. In times of both peace and war, gold has and continues to act as the ideal store of value for those looking to make the safest bet possible. As election day draws near in Turkey, Bloomberg reports the country’s citizens are flocking to gold vendors to stock up on bullion. With only a month left to Erdogan’s reign, the lira continues its freefall, having recently reached record lows. Yet the high price of bullion in liras has done little to detract Turks as they look determined to convert their weakened savings to gold. Other shopkeepers at the Bazaar confirmed that the population is turning to gold bullion in a time when it’s most expensive, likely protecting themselves against further drops in the lira. Turkey’s imports for the first four months of the year reached 118 tons, the highest figure for that period on record. In 2017, the country likewise imported a record amount of bullion. But it’s not just consumers who are anxious to get their share of the metal, as Turkey’s central bank continues to increase its reserves. Besides purchases, the government is achieving this by repatriating some of its gold from foreign vaults. Last year, the country’s central bank withdrew 28.7 tons of gold from its Federal Reserve storage. While such withdrawals are rare, recent years have seen Germany, the Netherlands, Hungary and Venezuela all repatriate some of their bullion from the U.S.